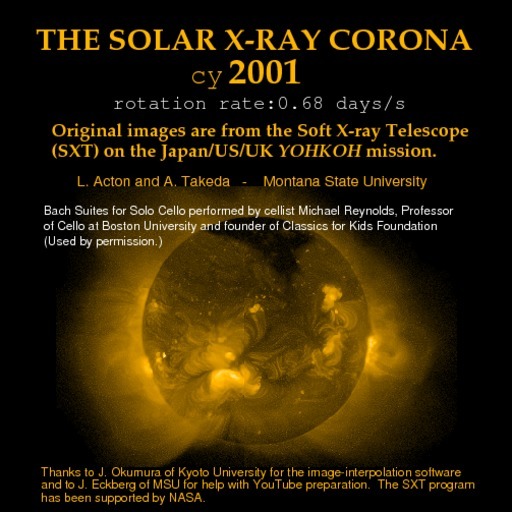 Movie of the solar corona taken at soft x-ray wavelengths in 2001. X-ray emission is at 1998 levels for the first half of the year, increasing to 2000 levels by the end of SXT observations on 14 December 2001. Back to Smoothy Top Page.